This post summarizes a handful of books that I have found truly outstanding and that I believe must be in every photographer’s collection. There are lots of good photography books, but there are few that truly stand out…that I can read again and again and find something new in them each time I open them. When I first wrote this post, I identified four that I thought were essential. I’ve expanded the list and will probably keep doing so. None of these books will tell you anything about f-stops, lenses, Photoshop or lighting. But, they definitely will help you become a better photographer. These are books I would immediately replace if I lost them and they are books that I keep re-reading. Each of the books on this list can be read in a day or so. Each will also take a lifetime to understand. Read them once and then, come back and read again and again, whenever you want to better understand what photography is all about. Yes, Robert Adams gets two books on the list. 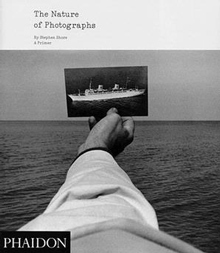 They are both collections of brief essays by a photographer who began as a writer. Adams spent eight years as a college English teacher and he is clearly one of the most poetic and eloquent writers on photography that I have ever come across. Szarkowski, Shore and Adams are all photographers, although Szarkowski’s own photographs are not much known today – he is far better know for his job as Director of the Photography Department at the Museum of Modern Art. 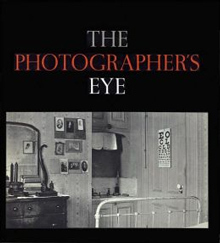 All of these books look at the heart and soul of photography. They treat photography as a unique art. 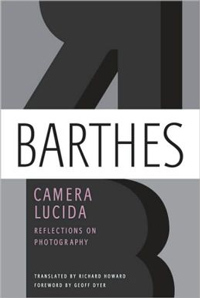 As I seek to discover photography, I am very fortunate to have these three authors as guides. This entry was posted in Books, Criticism and Commentary, Great Photographers, On Photography, Photographers, Photography Instruction and tagged Camera Lucida, History of Photography, John Szarkowski, Looking at Photographs, On Photography, Photographic Criticism, Photography Instruction, Robert Adams, Roland Barthes, Stephen Shore, Susan Sontag. Bookmark the permalink.